Notes: Located on Route 17 in Kings County. From Montague take Route 17 all the way to Murray Harbour North. Or a shorter route would be to take Route 4 from Montague to Peters Road. Turn left on Peters Road. Turn right on Route 17A which becomes Route 17. 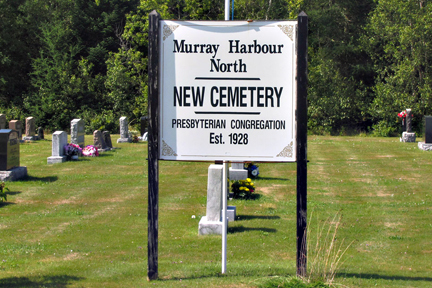 After about 2 km you will see both the Murray Harbour North Old Cemetery and the Murray Harbour North New Cemetery on opposite sides of the road.